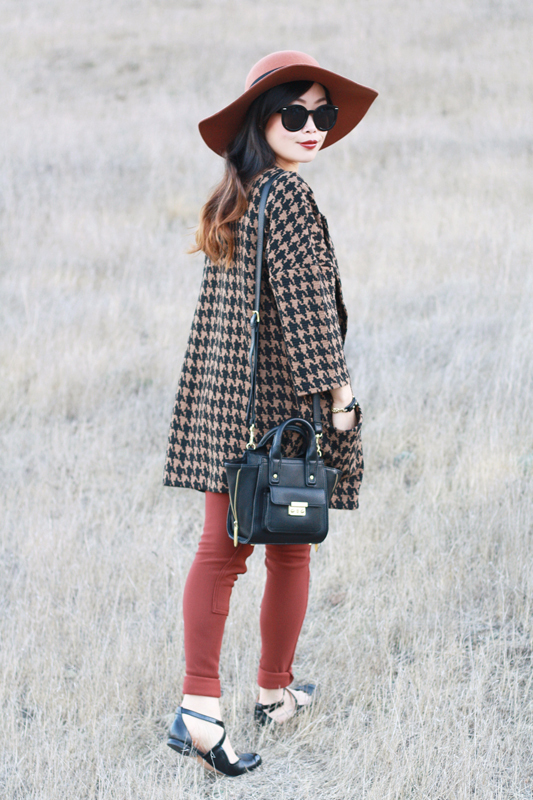 Houndstooth has been around for as long as I can remember, a modern take on this classic print is all you need to keep things fresh and exciting again. 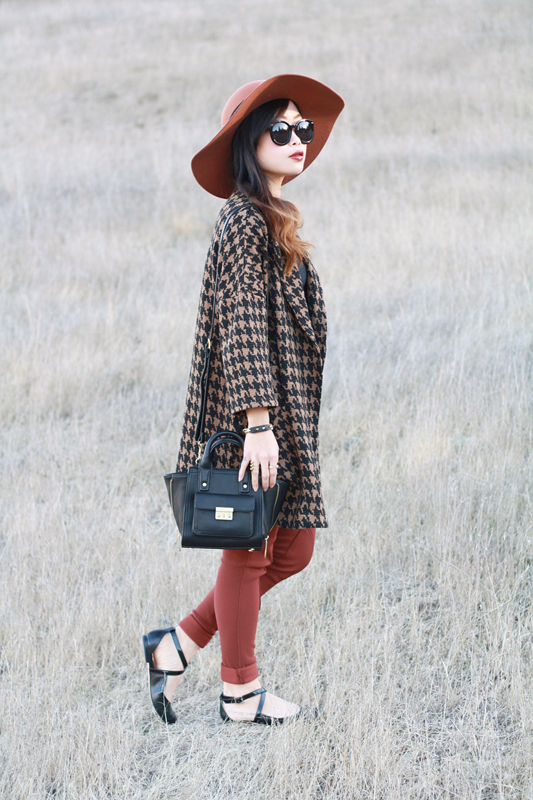 My new coat is the perfect example... timeless camel and black houndstooth meets cutting-edge cocoon shape. I especially love its structural oversized pockets and how lightweight it is! I wore it with a basic black cropped tee, high waisted riding pants, and these lovely little black flats with crisscross straps. 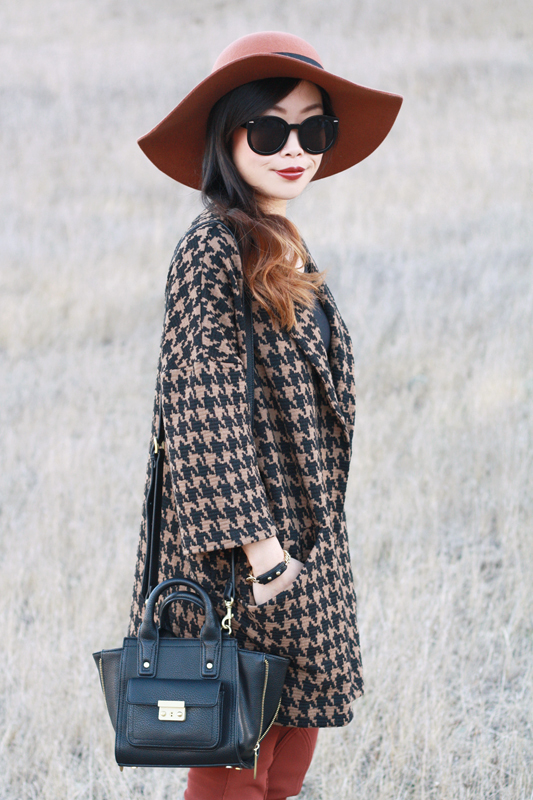 Houndstooth cocoon coat from F21. Basic black cropped long sleeves from F21. Crisscross strapped flats c/o Sole Society. 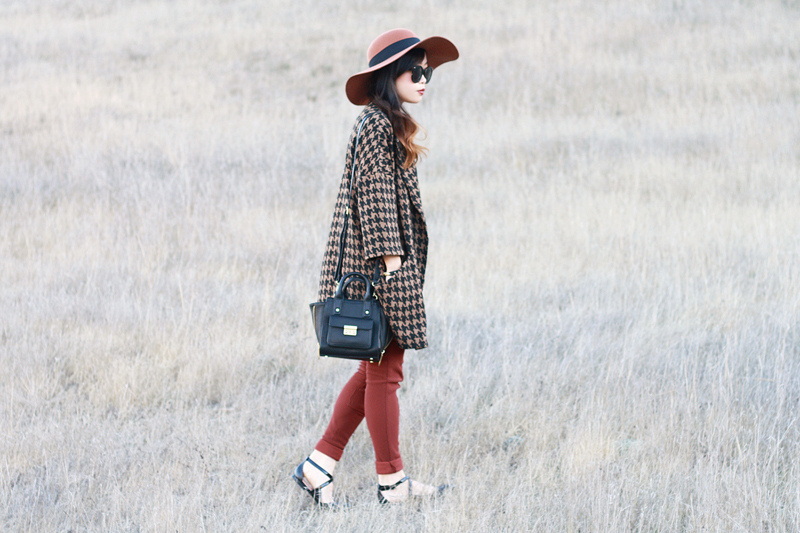 Wool floppy hat by RVCA from Miss KL. 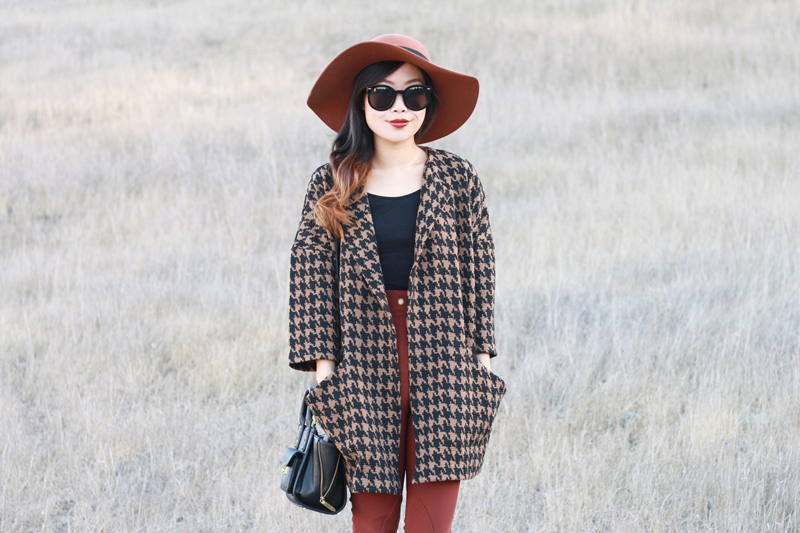 I really love the coat and the houndstooth print! 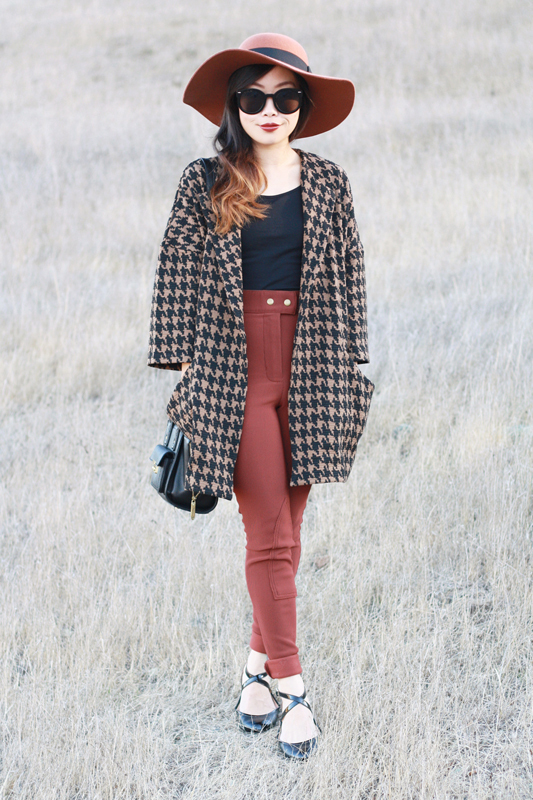 This is a gorgeous look! 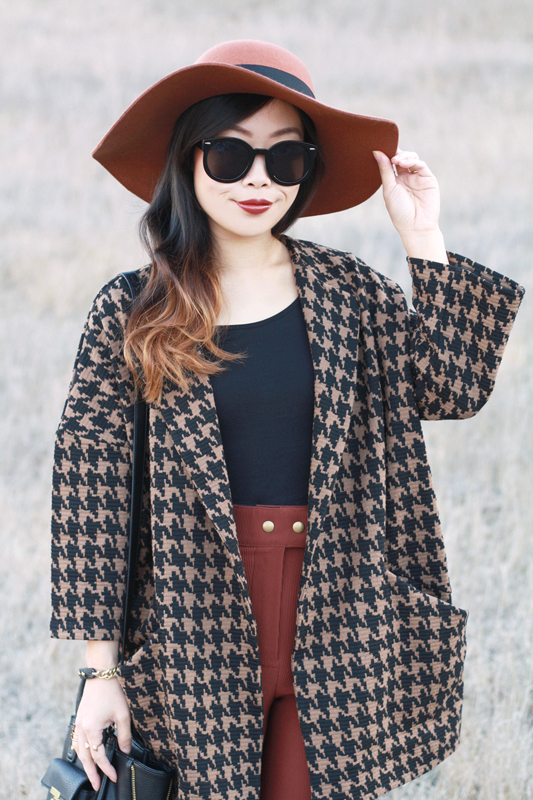 I love everything about it - which is surprising because I usually hate houndstooth, but that jacket is too great not to love! oh my, i love this look so much!